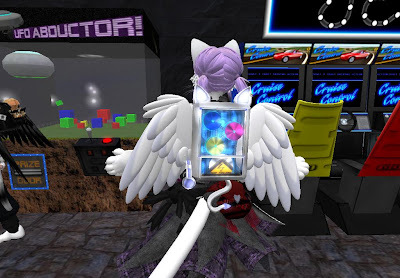 Btw I'm gettin my groove thing on while Hina is playing because I whacked moles for like ever to get this cool neko cd changer/player backpack that you can get for 50 tickets. So some other games you won't get tickets for (make sure if you're going to play ticket games to get the ticket roll at the counter or you won't be able to claim prizes)...oh and there's various prizes to redeem for different amounts of tickets. Scroll through them and see if there's something you like! 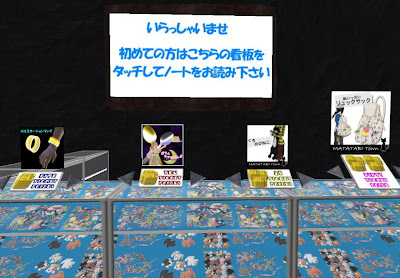 But anyone you can play the UFO game, like Hina is playing here, for 2 special prizes and some various other ones as well. 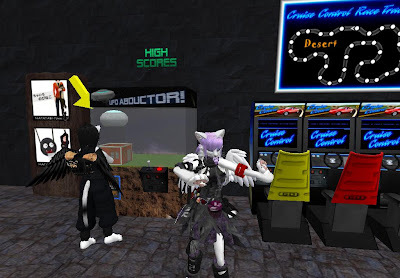 Also there's a very fun shooting range game too you can get special prizes for as well. 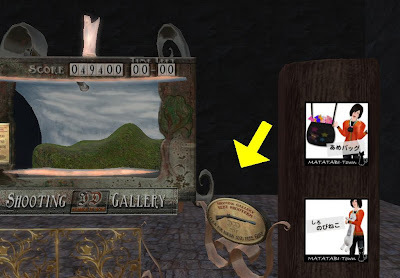 Click HERE to Teleport to Matatabi Town Arcade!